Meet Deanna, our Sr. Product Development Analyst. She enjoys traveling, her dog Jerry, and is a champion of the remote lifestyle. 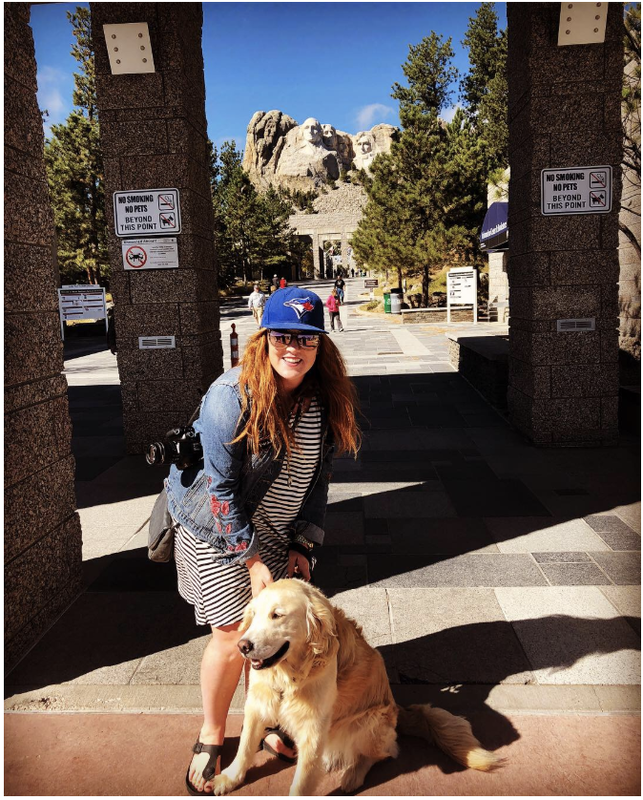 When Deanna isn’t working from her home in beautiful Kamloops, Canada, you can find her enjoying the great outdoors, road tripping across North America, and spending time with friends. 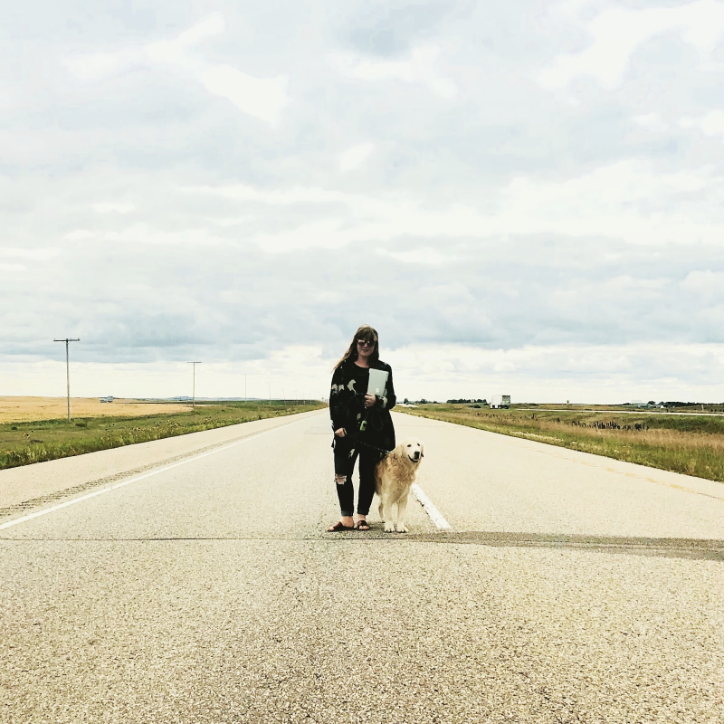 We recently asked Deanna to tell us all about her summer road trip and how she stayed connected to work. Spoiler alert: it takes A LOT of discipline! I heard you went on a road trip, where did you go? Where didn’t I go! 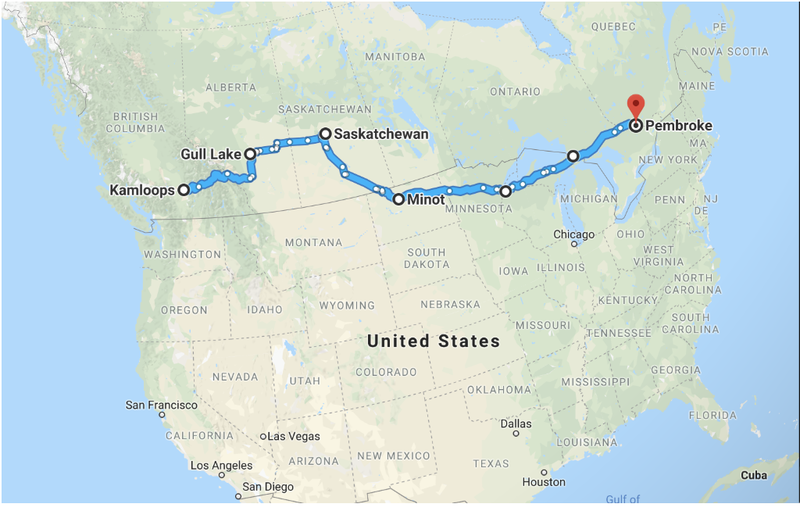 I drove from Kamloops, BC to Pembroke, Ontario, which is more than halfway across Canada. For me, last summer was filled with weddings, parties, and catching up with my east coast community. Since I live on the other coast from my family, I decided to stay back east with my family for an extra month to soak in all the quality time. So I packed my bags, laptop, and Jerry and hit the road. My dad flew out to meet me and make the journey home with me, and to be my driver when I was tired. On the way back to Kamloops, since it was just Jerry and I we took a different route. My first day I only drove 4 hours to Toronto. 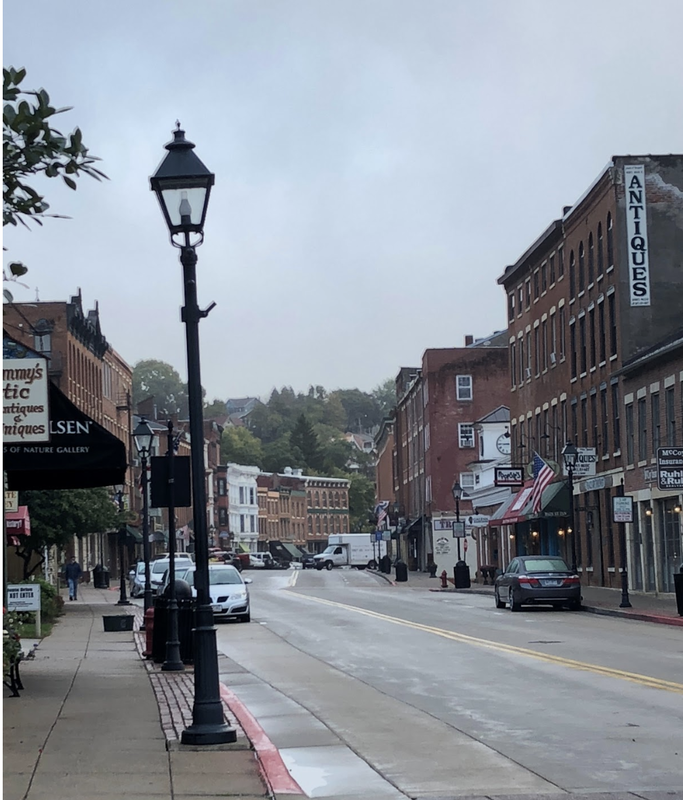 The next day I made it to Galena, Illinois. After that I stayed in Rapid City, South Dakota, then my last night was spent in Butte, Montana! 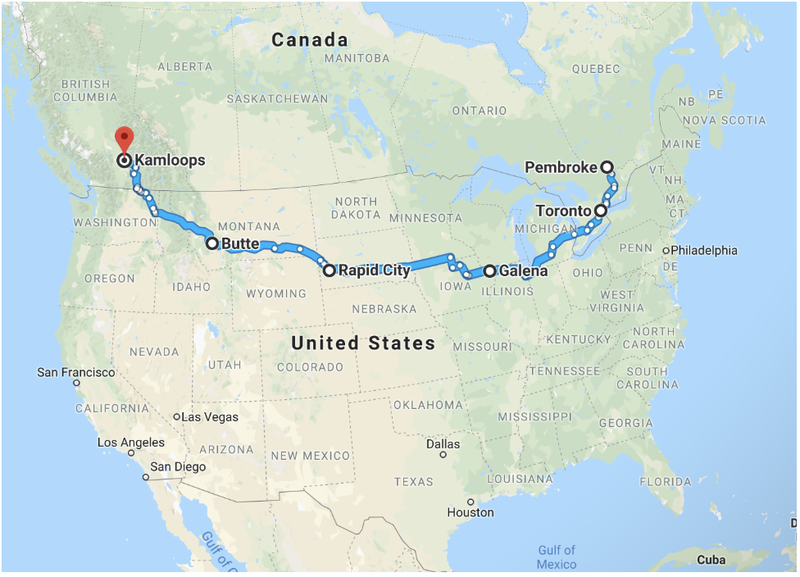 From Butte, I drove all the way home to Kamloops! How did being remote help or influence your decision for your trip? Being remote was everything that made this trip possible. At the core of it, I struggle with being so far away from my family and friends. So when I started working with Clevertech, it was basically a huge relief that I could go home whenever I wanted and stay as long as I wanted and not worry about using PTO. So when I started planning my summer vacation at the cottage back home, I decided I should drive, so I could bring Jerry and stay for about six weeks. With my dad as my co-pilot I was able to work all day and have him drive when I was done (Thanks Dad!). What’s one of your favorite parts about working at Clevertech? The best part of working at Clevertech is three fold - People, Projects and Freedom. Our teams are amazing, and I work with such incredible people. I work on such a variety of projects, and am constantly learning new things every day! Lastly, the freedom Clevertech provides by being remote. The freedom really comes from not being a robot to your job. I still work the same hours as everyone else in an office, but I have the freedom to make life choices that I want, and not have to consider or worry about my job. When you aren’t remote, the first thing you have to consider when making any life change, or vacation plans - is your job. But because I work at Clevertech, I’m able to live without limitations, and that’s incredible. What was the best thing you encountered on your trip? This trip was two parts. 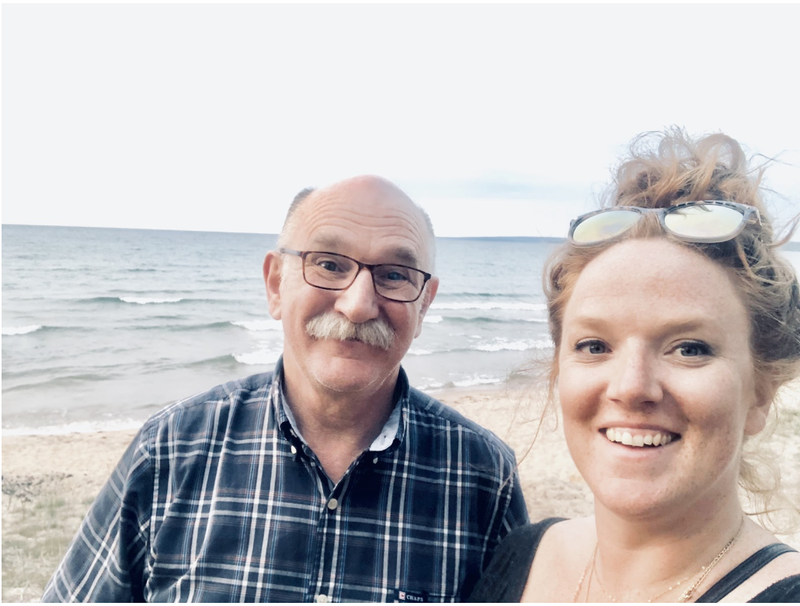 So on my way to Ontario my favourite part was stopping at Lake Superior in Michigan, with my dad! I had no idea how beautiful the lake would be, and getting to spend 5 days with my dad is something I’ll cherish forever. On the way back to Kamloops, I stopped in a this cute town in Illinois, Galena. It was easily my most charming stop, and felt like I was stepping back in time. Then I had to do something touristy, I wouldn’t be a road trip without that, right? So Jerry and I stopped at Mount Rushmore! What were the most important things to ensure you were productive on your trip? Internet, Communication….and a Co-pilot helps! I made sure that all my hotels or Airbnb’s had unlimited and fast wifi. I also contacted each one to make sure I could have a late check out, or that there was somewhere in the hotel I could work after I checked out. I also made sure to monitor my schedule, and make sure I was somewhere with service, and a quiet place to work when I had to be on calls. I made sure to communicate with my teams about when I was going to be working and if my schedule shifted. If you have the option, it’s great to have a co-pilot who can take over driving! Especially after a long day of working, or if I needed to continue working from the car. 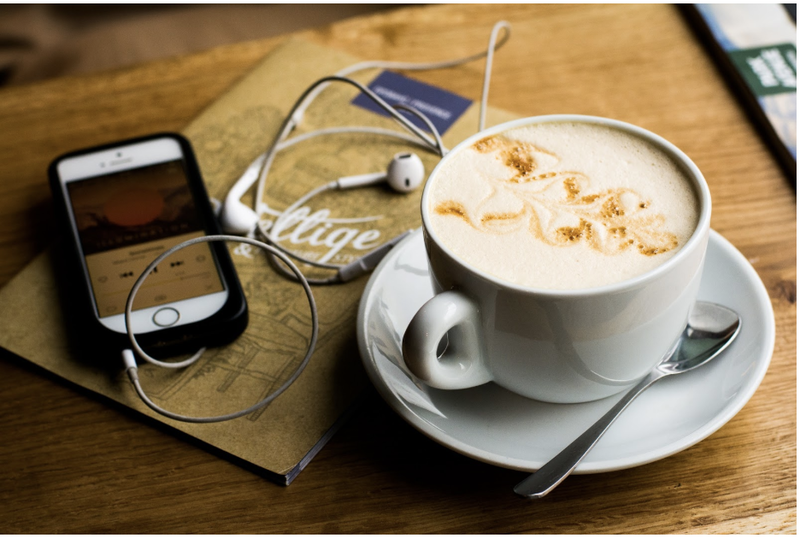 What were your favorite things to listen to on your trip? Podcasts! I started Season 3 of Serial and listened to all of Dax Sheppard’s first season of Armchair Expert. On a practical note - I made sure to listen to local radio when I hit some seriously bad weather in Illinois in case there were any weather warnings! 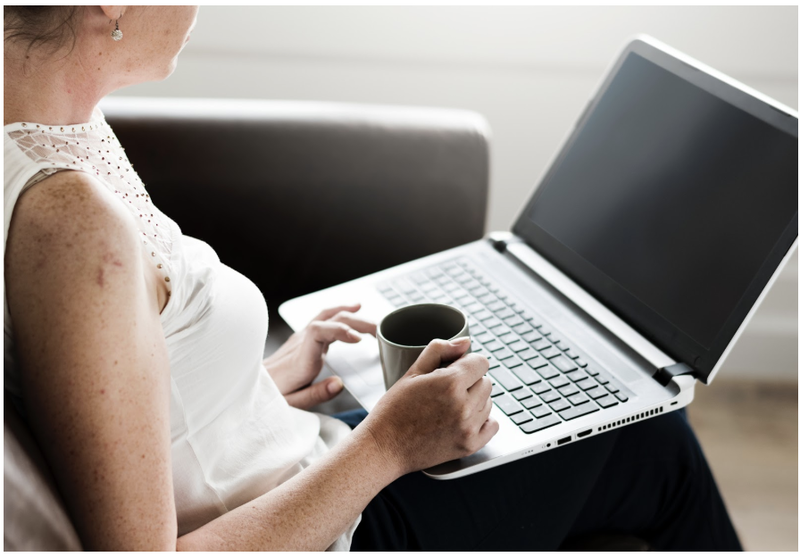 What are 3 suggestions you would give someone who is looking to travel while working remote? -Plan, plan, plan! I’ve always been the type of traveller who likes to wing it and be spontaneous. 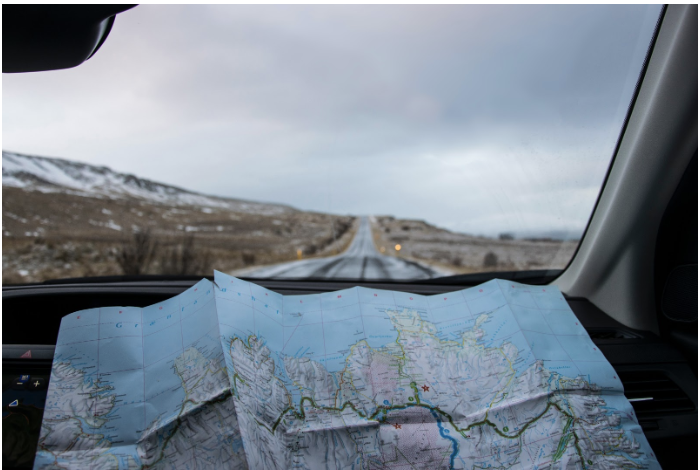 But if you want to travel while working you have to be organized with your work schedule, and to make sure you have your route planned out ahead of time. -Be realistic! The freedom of being able to travel and work is amazing - but remember, this isn’t like an Instagram ad and you still have to work! Remember, you’re still working a full day, everyday. So if you want to see things, and explore your destinations, be sure to leave yourself time for that. It’s such an amazing opportunity to have the freedom to see the world while you work - but just keep your expectations in check. It's not a vacation - it’s a lifestyle - which includes a full days work. -Airbnb-it when you can. It keeps the whole ‘working from home’ vibe alive. I actually stayed in more hotels than Airbnbs on the way back - but I had limitations with having Jerry, and I couldn’t always find pet friendly homes to rent. But when I did rent Airbnbs, it just felt more like home and that I was actually living and working in whatever town I was in. And of course - you get to meet some really cool local people when you stay in local homes. If you’re interested in a remote career with Clevertech, check out our career site: https://www.clevertech.careers/ and tweet us @clevertech to tell us how you stay connected on the road!